Junior Class vice president Suleyman Ahmed, Junior Class president Ben Cifu and Cultural Union representatives Kepler Boonstra and Ava Kucera disassemble a puzzle that was created by the junior class. 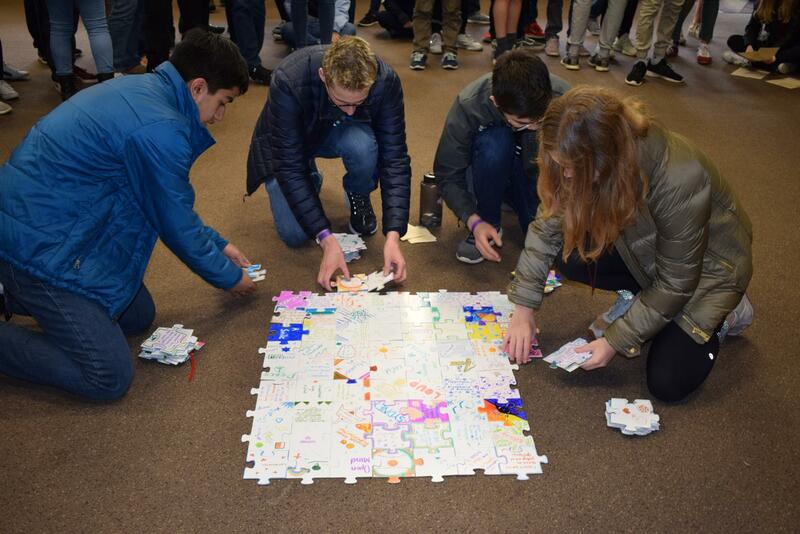 Each individual student added a single puzzle piece describing what they brought to the grade, which was the culminating activity at junior retreat from April 9-11 at Camp Lake, Wisconsin. 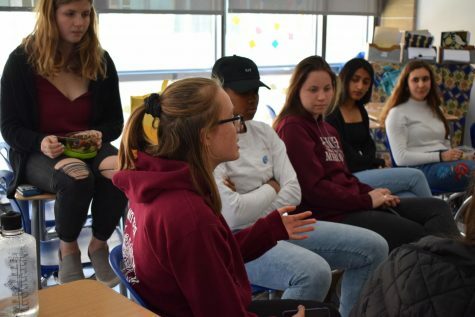 Juniors worked on various activities intended to foster bonds and give students a new perspective on their classmates.